Isn’t he the cutest little guy you’ve ever seen? 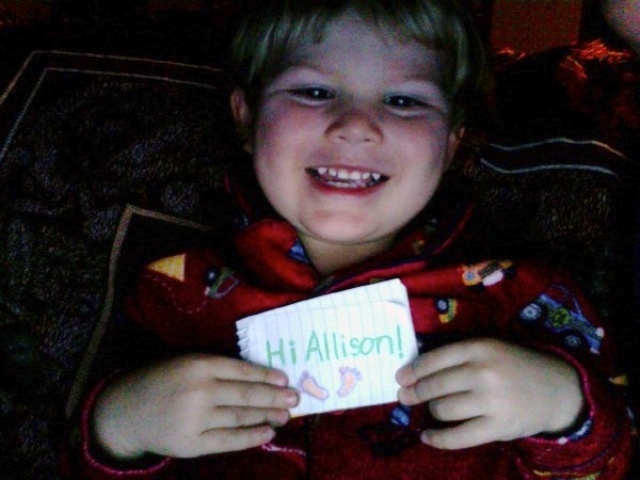 And please note that he can spell Allison, which puts him a step ahead of our Irish friends Bart, Justin and David! Not Tired of MacWorld Yet?